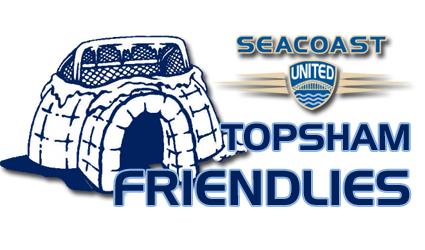 The Seacoast United Maine Topsham Indoor Friendlies are a series of games taking place at "the Dome" in Topsham, ME throughout weekends in December, January, February and early March leading to outdoor play in the Spring. Teams compete in round-robin style formats with designated age groups assigned to one particular day, limiting the need for travel and hotels. There are no standings or playoffs, as these games are not results-oriented. Clubs participating in this year’s event: Bath Clippers, Central Maine United, Dirigo SC, Seacoast United Blackbear, Seacoast United Mariners, Seacoast United (NH), Seacoast United Storm, Seacoast Express United and the Dutch Soccer Academy. For more information please follow the links to the left. Specific questions? Please contact Jim Wade at jwade@seacoastunited.org or by phone at 207-358-7852.